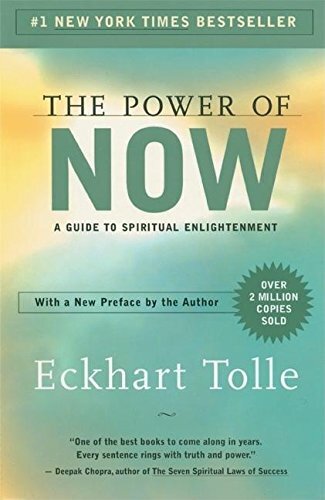 This self-help book The Power of Now written by Eckhart Tolle was first published in 1999. And with some help from Oprah Winfrey, it soon became New York Times bestseller. Plus, a cultural trend. Tolle’s lessons heavily borrow from Christianity, Buddhism and some Eastern philosophies. 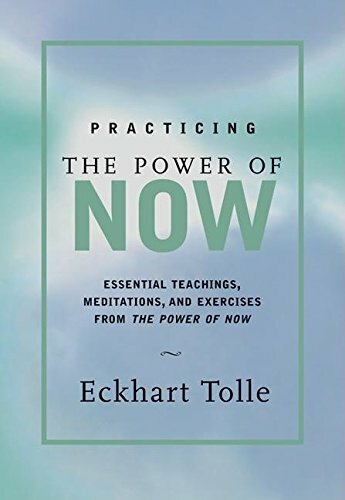 Tolle claims that calming your endless thoughts helps you become present in the “Now.” Such inner calmness links you to an eternal state of “Being.” The subsequent books of Tolle expand on his teachings. We are always unbiased in matters of religion. But, we recommend this book to those seeking mindfulness literature for inner peace. How Tolle suggests, you attain peace. The “power of Now” starts from being fully present at the moment. It comes from freeing one’s consciousness from the noise of mind. You can reach a new stage of consciousness by observing your emotions and fear impartially. Your thoughts block the experience of Being. Do not focus on your life situation. Instead, focus only on the “real” thing – what is real at present. Emotions are thoughts which echo all through the body. The “egoic” brain stays in both future and fast. But, it cannot work in the present. “Pain-body” is the emotional waste which bad experiences leave behind. In an enlightened relation, one is open to love. He/she also accept their partner without any conditions. Spiritual surrender asks for embracing what is and not keeping any resistance. When your mind is calm, you can access your deepest self. This is when you sense the oneness of “Being.” To many people, the term “God” spurs a corresponding image. But, the term “Being” does not have any comparable picture. Nor does anyone religion owns this concept. Being is an open phenomenon. It covers the undying, ever-present One Life. Being is present at the heart of your essence. Yes, it could be a tough thing for our minds to grasp. You can sense it when you are present. Also, your focus should entirely be on the Now. Understand that the present is what you only have. Going through this joy of Being brings calmness. It links you to something beyond yourself. Such insight happens when you bring out your real nature. Your thoughts block your experience of Being. Thinking does not equal to Being. Planning, judging, worrying and justifying makes the world a place of issues. Such mental processing builds the image of separateness. That is, there is only you, and the rest are others. Start “watching the thinker,” the voice in your mind which hates silence. Pay attention to the thoughts which keep coming. Become a witness to thoughts instead of being a thinker. Try connecting with the present which is under your thoughts. Only then can you see the new side of consciousness. Watching the thinker snatches power from the thoughts. You will see gaps in the thought marathon. A small period of “no-mind.” This is consciousness without thinking. Even if such pauses occur just for a split-second, they give inner peace. You feel the “oneness with Being.” With practice, such feelings can become stronger and long-lasting. Hence, focus on the present to be fully present. Pay your whole attention to everything you do, regardless of how dull it is. Take short breaks in between your work. During these moments follow your breath coming in and out of the body. Becoming highly mindful of every moment brings you into the Now. Most people get their feeling of self from their earlier experiences and cultural taming. Such a false self is ego. It only exists when you get your identity from your thoughts. To survive, the ego does not let the past die. Plus, it focuses its concerns on the future. Ego cannot survive in the Now. Use your mind to navigate daily. But, calm your inner dialogues. The calmness and stillness you can get is the source of creativity. Emotions are thoughts which echo all through the body. For example, when you get aggressive thoughts, you can feel physically angry. The body goes through biochemical changes when strong emotions are present. Hence, become mindful of your emotions. Check them as you check your thoughts. Feel emotions in your body. Allow them to exist without them overpowering you. Identifying with your brain leads to emotional pain. Such pain can turn into anger, self-loathing, depression or hatred. Joy from outside sources is temporary. You feel inner peace and joy when you do not engage in the mental activity. The pain of the past and present cause suffering. You self-produced most pain. It is an unnecessary reason for negativity. The egoic mind dwells in both future and past. It cannot work without the system of the time. So, how to weaken time’s impact and live in the present? Firstly, understand that the current is the only real state. You will see you can easily access the future and past. Plus, the present may feel disagreeable. But, if you can ward off judgments, you can come out peacefully from outside conditions. Then you can allow the current moment to exist and embrace it. A “pain-body” is the emotional scum which bad experiences leave behind. Such negative energy area is inactive until something brings it to life. When you relate with a pain-body, it gains strength. So, when this happens, focus on this emotion. Recognize it as pain-body. And then fight the tendency to analyze or judge. The moment you untie with it, the pain-body will lose its strength. You can attain a higher side of consciousness when you become a rational observer of pain-body. Such consciousness allows you to feel the strength of Now. You can disengage from fear in the same way. Become a silent watcher. Mental fear is rarely a response to the reaction to an immediate danger. Instead, it has concern and worries about the future. Your mind goes into what may be. This causes an anxiety gap. Such state results in failure, fear of loss or even death. The past is a “gone Now.” It is a memory caged in your brain. The future is the “imaginary Now”. That is an illusion of what has not happened yet. The egoic mind is the slave of time. It lives in thoughts which reside in the future and the past. But, your primary concern should be Now. Now is the door to the state of Being which is unaffected by the brain. Move your consciousness to the Now. You can do this by withdrawing focus from thoughts. In such a timeless situation, you can live in the Now, lose it and then return. Until this Now becomes your primary state. Keep “clock time” for practical things. For example, planning exercises or scheduling appointments. Use it to learn from mistakes, solve problems and apply knowledge. But, clock time becomes “psychological time” very quickly. When you imagine too much future or relationship with a lot of past, this shift happens. For example, you make a mistake and learn not to repeat the same thing. Hence, you have used your clock time efficiently. But, if you make a mistake and continue to criticize yourself, you are in psychological time. Your life situation draws from psychological time. Hanging on to past negative events while ignoring the Now will keep you sad. Same goes for wishing for a better future while rejecting the Now. Focus on your life – what is happening right now. Use your senses to see, look, feel, listen, recognize and accept. Most people function in a state of “normal unconsciousness.” They mostly live in their egoic mind and are not aware of the Being. Anxiety, unrest, and dissatisfaction haunt them. When they face a big hurdle, it threatens their ego. Then they go to a state of extreme unconsciousness. Outside events activate the pain-body. They feel adverse emotions like fear, anger, depression, etc. Instead, you can make consciousness part of your daily life. Divert all your attention to the present. Check your emotional and mental states. Make the unconscious alive by allowing it to come to the surface. The external goal of life’s journey is to attain a personal target. This external goal must not overshadow life’s internal purpose. And that is to live in the present and enjoy in the “light of Being.” The two can occur together. But, a conflict between the two leads to unhappiness. So, shed negativity. Address the situation of the present. Or let go of the sadness tied to it. Often, problems are cases you try to deal with by planning and worrying. Instead, see problems as situations to accept, let go or address. When you face the unbearable, there are only these three options. Hence, make a choice. Presence occurs when you are not bound by the identification with your mind. The mind cannot understand the meaning of consciousness. You can only sense it in your soul by being present. Start a practice of shutting your eyes and feeling your body. Focus on your breath. Conscious breathing is a strong tool for meditation. Your body is only a shell carrying the invisible inner self. Under your outer structure is a source of spiritual and infinite energy. When your mind overpowers your focus, it deviates you from Being. Your feeling of who you stem from your thoughts. The “Unmanifested” is another word for Being. It depicts the formless empire. The unknown Source of everything. Unmanifested is also the source of “chi” or internal energy. Chi is a movement while Unmanifested is calmness. While sleeping when you are not dreaming, you visit the Unmanifested. You then take crucial energy from the Source. The Now is the gateway to the Unmanifested. Focusing deeply on the current moment gives both direct-indirect views of Unmanifested. The Unmanifested rests in silence. It is between sounds, in the pauses, and in space. You need to connect yourself deeply with the Now. Also, you ought to be free of the egoic mind. Only then your relationships will be functional. When you fall in love, everything looks rosy. But, soon, the relation swings between periods of hate and love. You cannot skip the bad period. Also, you cannot have love in the absence of hate. Love relations give relief from unhappiness and loneliness. The relationship appears to contain the egoic mind. It gives life meaning and gives you another identity. The physical intimacy gives some moments of bliss. Your link with something beyond yourself – via another person. But, when your partner does fulfill your needs, you blame them for your sadness. Relationships can bring out the sadness and pain which is already inside you. Just like drugs, alcohol or food. But, when you unlock from your mind and access the being, you can experience an open-minded relation. You become an open vessel for peace, love, and joy. There is no room for judgment and you accept your partner as they are. You do not feel the necessity to change them. Your love is not centered on somebody outside you. Instead, it is within you. You are tamed to see things as negative or positive. But, situations are none of these things. Instead, they are present. Embrace the power of Now. Shed these tags of good and bad. Recognize what is. Surrender has a negative undertone and shows defeat or weakness. But real surrender implies yielding to what is. And, not fighting the reality of life. Hence, embrace the current moment without judging it. Surrender your innate resistance to the truth of Now. Resistance makes the current moment your enemy. Hence, allow the positive action to come from acceptance and not from anger. Surrender will not change the situation. But, it will change you. As you surrender, feel immersed in the energy of Being. Review the facts of a bad situation. Then decide if you can improve it, change it, or let it go. Take suitable action. Or, if none is available, concede deeply. You will feel the resistance fly away from your mind. The author’s message is clear and simple – live in the present for enlightenment and happiness. And while his message might not appear remarkably fresh or original, it is Tolle’s articulate writing, enthusiasm and supportive voice which makes this an incredible handbook for anyone who has ever contemplated what really “living in the now” connotes. Tolle explains complex notions in solid language. Moreover, in just one chapter of reading this manual, readers will already hold the world in a distinct container. Tolle packages many inspirational ideas and information into this book. A great part about this book is that Tolle adds markers which represent “break time.” This is when readers must keep the book aside and ponder what they just read. 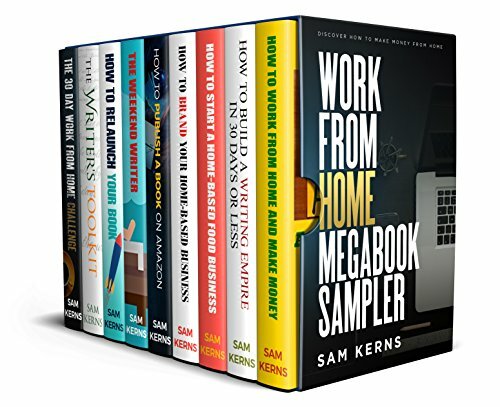 Not even half-way through the book, readers will be compelled to highlight many quotes and passages and even take out some pages of notes. While the book has incredible content and very general messages, it has a very religious tone to it. Initially, the text focuses on living in the now and uses anecdotes which are general and relate to day-to-day situations. 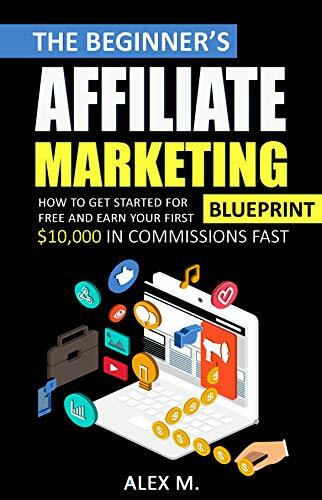 Nonetheless, as one goes deeper into the book, an increasing number of examples include biblical references and Jesus. This may go down with some readers as if the manual has an agenda deep down. Hence, though this book has a lot to offer to everyone, some readers may question its ultimate purpose. However, a great lesson can be taken from this. Only because the book’s agenda may be (not surely) religious, does not imply that readers who do not wish to concentrate on religious facets have nothing to take away from this book. 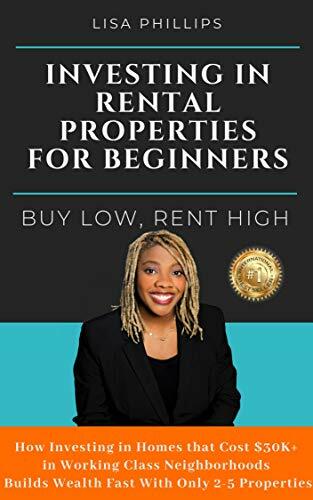 As readers will continue to read, they will continue to learn, and what exactly is the main reason why one should pick up this book in the first place. Eckhart Tolle is a spiritual leader and teacher. He also wrote A New Earth: Awakening to Your Life’s Purpose and Guardians of Being. Having read this The Power of Now Summary, what do you think? Do you believe what the author said is true? Please feel free to share your thought with us! Next articleWhat Is a Stock? How Does the Stock Market Work?